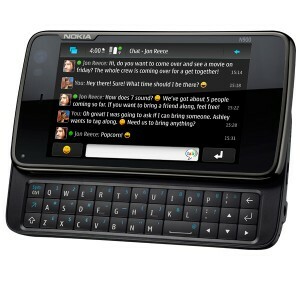 Despite being pitched as the closest thing to a PC that fits in your pocket (“PC-like experience on a handset-sized device”) — a common theme in the marketing of all recently released smartphones — the N900’s UI appears to be extremely finger-friendly and optimized for its 3.5 inch 800 x 480 pixel (resistive) touch screen, where the previous and slightly larger N810 (4.1 inch) was stuck in a PC-centric UI design paradigm. And unlike the N810 and, for some critics, the company’s recently released flagship Symbian powered smartphone, the N97 (see my review), the N900, on paper at least, has the processing power to match its UI and computing ambitions – an ARM Cortex-A8 processor running at 600MHz with OpenGL ES 2.0 graphics acceleration. The gorgeous looking UI aside, and beyond the technical specs alone, perhaps the most interesting thing about the N900 is the way Nokia is positioning it. In the press release and other marketing material, the company is very keen to play up the device’s ability to multi-task — and from the looks of things, this is one of the UI’s strong points — an obvious dig at Apple’s iPhone. 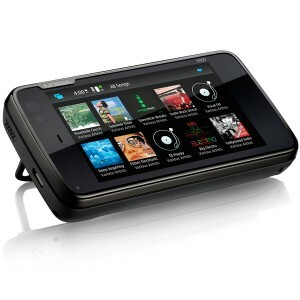 In fact, overall, the N900’s marketing, as had been previously reported, pitches the device right alongside the iPhone, especially in the sense that it’s a mobile computer first and phone second. 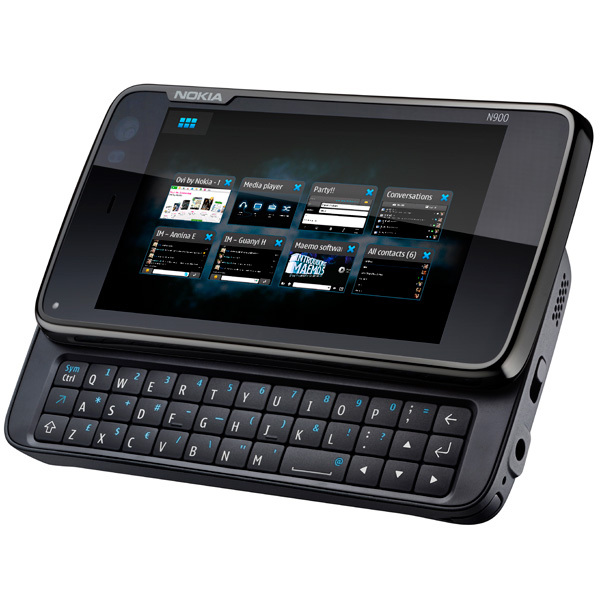 In fact, whatever Nokia tells you, the Maemo-powered N900 is looking a lot like the flagship device that the Symbian-powered N97 was meant to be. So where does Maemo leave Nokia’s investment in Symbian? Symbian is going nowhere — why else would the company spend millions buying out the operating system’s other partners and then open source the damn thing? — but instead I see it gradually moving downwards as “dumb” phones are replaced by smartphones in the mid to low end of the market. The company’s XpressMusic 5800 and the just announced 5230 are a good example of this, with the latter priced at 150 euros before tax and carrier subsidy. This mid to low end smartphone market is an area that Apple has yet to address and may never do so. In the PC arena Apple stays away from the low margin, low end of the market. In contrast, in the mobile world, Nokia doesn’t leave a single slice on the table. Therefore, Symbian’s biggest competitor, I believe, is Android. Hence the reason why the company chose to open source Symbian, essentially giving it away to competitors as Google does with its mobile OS. As always, it’s hard to comment much further without getting my hands on the device, but from what I can gather, Maemo 5 and the N900 look very promising and could finally see Nokia having a product that competes with the iPhone and Palm Pres of this world on a user experience level not just tech specs or market oomph alone.